A gentleman's agreement in Philadelphia once kept buildings shorter than the statue of Benjamin Franklin that tops Philadelphia's City Hall. Center City builders abandoned that restriction long ago and skyscrapers moved beyond Center City more recently. In 2004, Philadelphians completed the Cira Center, the first skyscraper in the West Philadelphia neighborhood. 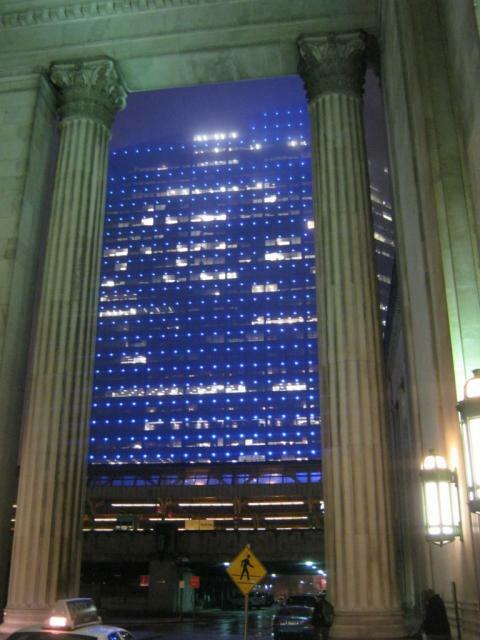 Located next to Philadelphia's 30th Street Station, the Cira Center contains 29 floors of commercial space. By allowing new construction next to the historic 30th Street Station, Philadelphia put high density near mass transit infrastructure.